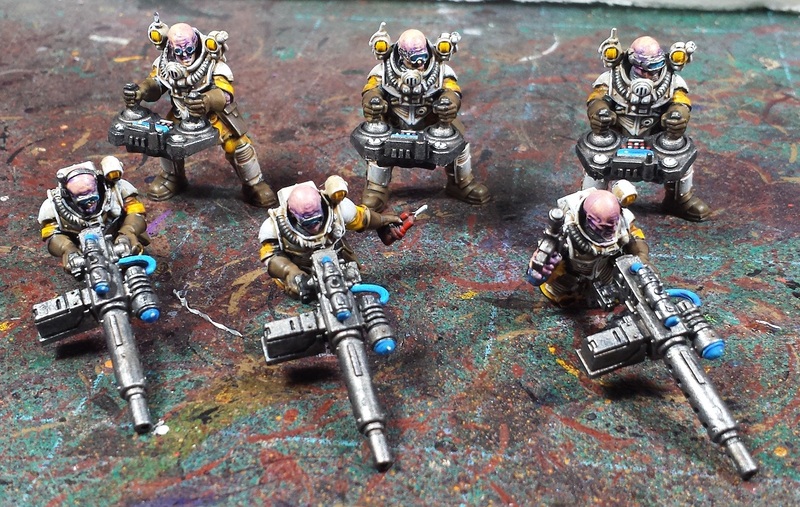 Mordian 7th Regiment: 40k Genestealer Cult - Goliath Rockgrinder crew painted! 40k Genestealer Cult - Goliath Rockgrinder crew painted! I was concerned that as they'll be sharing the yellow color on their fatigues that they'd end up getting lost in the general yellowness of the vehicles, so didn't include much in the way of white on the trucks themselves. Keeping the crew separate for painting proved to be a good idea, there's all sorts of challenging angles that I wouldn't have been able to get to with a brush had they been assembled in situ (I'm usually guilty of getting overexcited and building the models completely in one go without thinking of the consequences in later painting stages). Moment of truth time came with their installation on the trucks. Well pleased with how they turned out! All that remains to do is pick out a few more details on them here and there that have become apparent, then a touch of the ol' sponge weathering over the next few evenings! Loving the cheat sheet. Great idea. I should probably do that myself, since my projects can span months-years at the painfully slow pace I sometimes paint. They are a great addition (and look fab by themselves too). Adds another layer of depth and interest to the trucks. Looking great, a fresh new delivery of Rockgrinders from the forge world! I have tried cheat sheets along similar lines before, though I often get distracted and don't fill them in properly and miss something! Great job on the crew. With regards cheat sheet, I have done these before, which I inevitably lose. Now I tend to do an post an unpublished blog post. I try to find a paint pot that is more or less the colour I'm after. @Rory Priest: Haha! I'm itching to get back to the Sons, but still in a holding pattern until the release of the book. Disappointed it's not coming until February, but at least it's near! 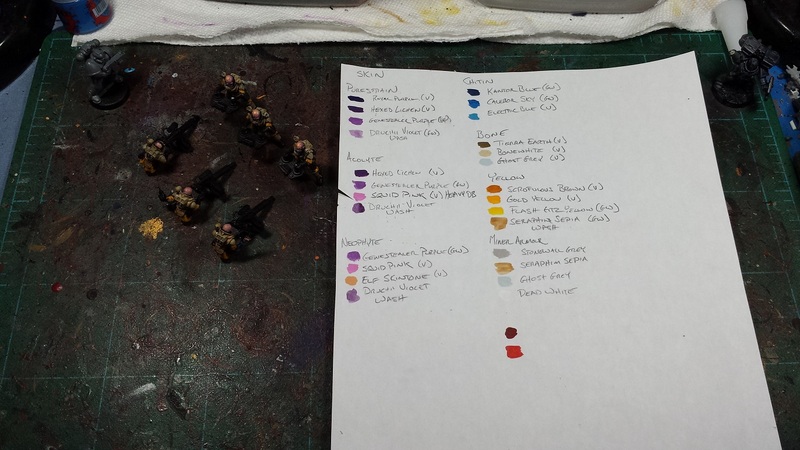 @Zzzzzz: If you ain't cheatin', you ain't painting! To be fair almost all of my techniques are cheats one way or another. Hah! More excellent additions! Good call on the white uniforms too. Like Zzzzzz, I just try to find a paint that matches what's already been done. One day perhaps I'll become organised with cheat sheets. Maybe. @Peter Ball: Thanks very much! @Dave Henderson: I appreciate it! 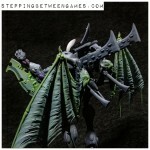 Love the scheme! I'm slowly doing up a Jormungandr army and this cheat sheet will be really helpful for the rockgrinders. Awesome! I do love that scheme!